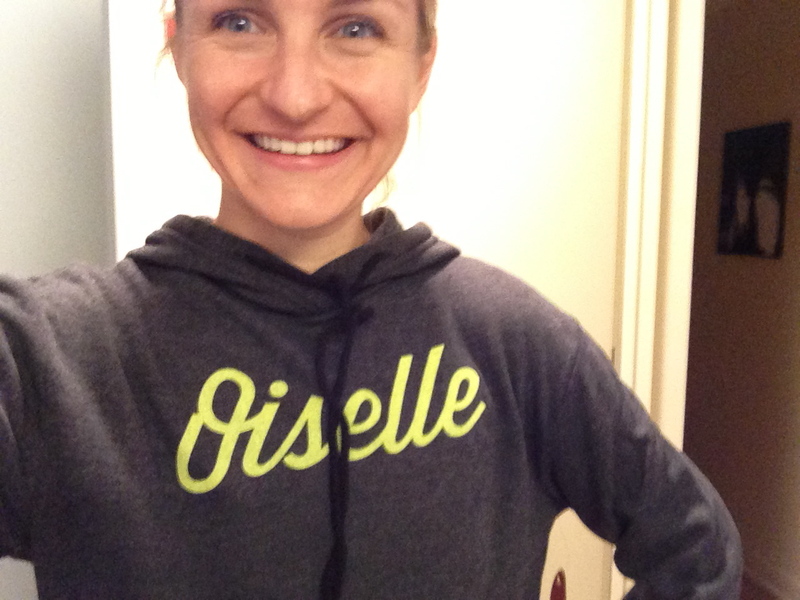 My next featured runner is one of the few tweeps I've met in person. Meet Jocelyn. I met Jocelyn back in the spring at the NJ Marathon. 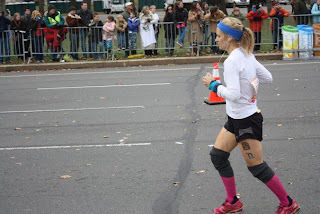 The NJ Marathon was Jocelyn's 2nd marathon and her goal was to go sub-4. Catching up with her after the race, she told me that she missed out on her sub-4. I could tell she was disappointed and told her that it had taken me 4 tries to run a sub-4, which I believe provided her some reassurance. I grew up playing sports so I always "ran". But I didn't start running (aka without kicking a soccer ball) until I went to college. I started running 4 times a week for 3 or 4 miles just to relieve stress and get fresh air. When I got my first job out of college, a bunch of guys at my company (I worked in a mostly male department) asked me to be on their Ragnar Relay Team. I had never run more than 4 miles before, but in order to impress them, I "trained" for the Relay race. I had so much fun training that I decided to sign up for a half marathon a couple months later, then a marathon six months later, and now four years later, I'm addicted. Q: I loved your blog post about your recent PR effort at the Philly Marathon. What did it mean to break the sub-4 hour barrier? Thank you for reading my blog post! I never think that people actually read my blog posts. As for breaking the Sub-4 barrier: My first marathon finish time was a 5:04, so I have come a long way. It was an unbelievable feeling crossing at 3:50 in Philly! I was really proud of myself. It was probably one of the first times I have accomplished a goal just for me - not for my parents, my boss, etc. Sub-4 was my goal. Hood to Coast 2011 & 2012 with Team Nuun Hydration. I love the team atmosphere of relay races. It was an amazing opportunity to run with a company I believe in, meet new running friends, and be inspired to become a faster runner. 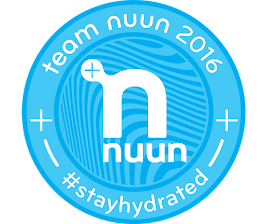 I will forever be grateful to Nuun for giving me the opportunity to run on their team. Next "A" race will be Eugene Marathon in April 2013. I will probably run a couple half marathons as training runs in the next couple of months, but my eyes are set on Eugene. I have blonde hair, and sometimes I wear my hair in a messy bun when I run. Well, one time I was running and a bird landed on top of my head! I think he thought my "messy bun" was a bird's nest. I freaked out (obviously) because the bird wouldn't get off my head! Great question. My parents signed me up for sports at a very young age, so I appreciate them for that. I think it taught me how to be self-motivated when it comes to sports. Of course I look up to a lot of professional athletes and running friends. But I think I am self-motivated, aren't all non-professional runners? No one is paying us to run 20 miles on the weekends! (Unless you are a professional runner). Start slow! You don't need to sign-up for a marathon. You don't even need to sign up for a 5K. 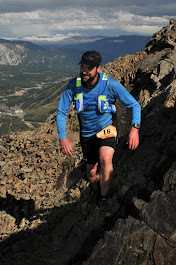 I think running is more than running races - it is about being outside, improving your mood, releasing stress, listening to good music, keeping yourself active and/or spending time with friends. Think about those things before you think about certain paces or distances. Q: If you could only use one word to describe what running means to you, what would it be?